Minimum Hull Length: 264 in. Maximum Hull Length: 300 in. Maximum Transom to Bow Eye: 281 in. Frame Size: 3 in. x 5 in. x 10 ga.
Rear Cross Member Adjustment: 24 in. Tongue Tube Size: 3 in. x 4 in. x 7 ga. 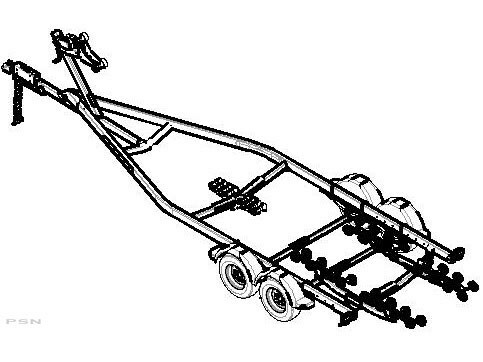 Length of Roller Rack: 92 in. Keel Rollers (# - size): 8 – 8 in.